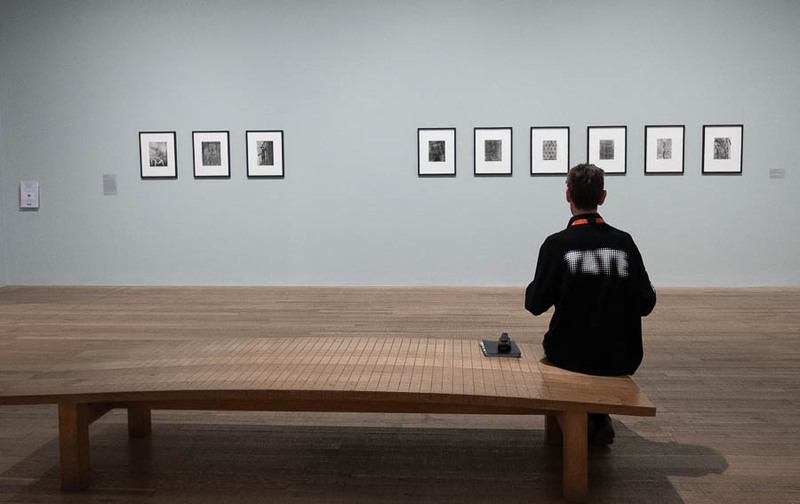 The exhibition ‘Shape of Light: 100 Years of Photography and Abstract Art‘ is showing at Tate Modern, London until 14 October 2018. 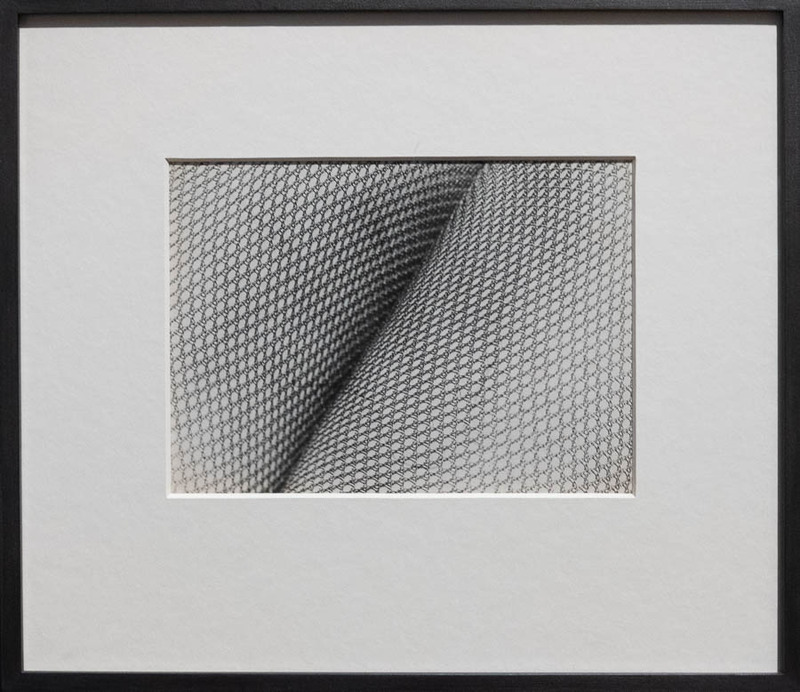 It charts photography’s role in twentieth and twenty-first century efforts to explore abstract art but it does it in a rather staid, historical/academic – and expensive – way that gave no clue about the sense of play involved in creating abstract art. Nevertheless it is a good synopsis show that achieves what it ‘says on the tin’. Even the staff get to appreciate the art sometimes, though the first 10 rooms of unremitting black & white images did start to get dreary (never thought I’d say that about b&w photos, but there it is). This exhibition is a journey through photographic abstraction from the early twentieth century to the present. 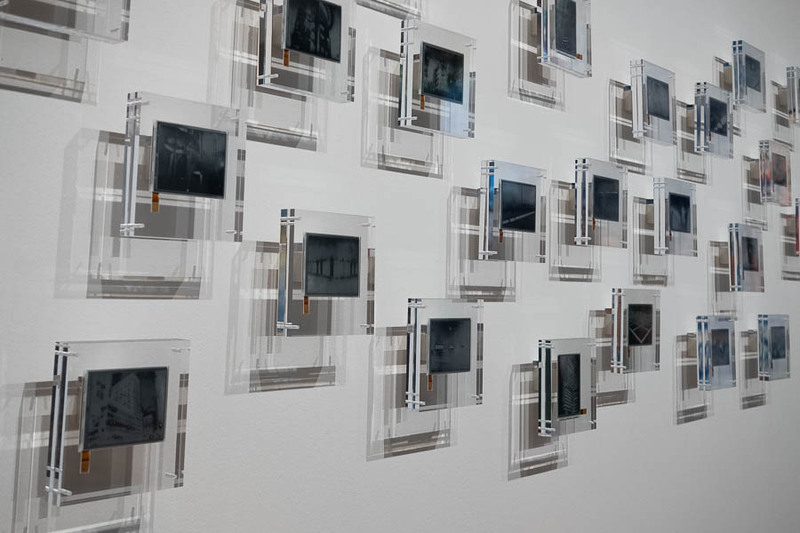 It demonstrates relationships between different photographers and different media, with the occasional painting and sculpture added to the mix. Most of the exhibition is a steady progression through varying approaches to abstraction. When you consider that the primary use of a camera is to record what’s in front of it, using a camera to make abstract photos is fighting the natural characteristics of the medium. In this exhibition we see the world presented from bizarre viewpoints, the use of long focal length lenses to compress perspective and close-ups to distort scale. We also find photographic materials used outside the camera to record the action of light, and even invisible radiation, directly. The first ten of the twelve rooms are almost entirely black & white prints. I hate to say this as a black & white enthusiast, but ten rooms of black & white abstracts did start to become kinda’ boring. But then finally as we approach the 21st century colour starts to happen. Hurrah! It starts as a dark blue whisper of large format Polaroid prints then finally, finally bursts into the exuberance that can be abstract art. It’s true that colour film wasn’t available in the early 20th century and unfortunately there was an almost universal attitude that serious photographers only made black & white images – and what a missed opportunity that was! Rooms 11 and 12 of the exhibition seem to conflate colour film and digital technology as a single giant leap away from photographers worthily pursuing abstraction to artists playing with photographic means to create abstract art. With the depth of analysis given in the first ten rooms it felt like the final two rooms were rather rushed and cramped, not in their physical space, which was large, but in their balance compared with the previous part of the show. I feel this is a missed chance to show more of the diverse abstract photography being produced in the last three decades, and the show under-represented the possibilities digital technology has brought to the arena. I swung from feeling turned off by too much black & white imagery to wanting ‘more! more!’ of the latest works. Broadly the exhibition was organised chronologically, though thankfully not too strictly, and each room had a contextualising statement that could be read or ignored as you please. Although there are well known images by photographic ‘names’ it was good to see these balanced with less well known equals. It was also good to see a sprinkling of Japanese photographers in with the predominant European and American names. Abstract art is viewed by some people like wallpaper: decorative but shallow in meaning, and using photography to create abstracts can tempt the viewer into trying to work out what it was in front of the camera. The first approach has a lack of engagement, the second is engaged but missing the point. There is a relevant quote buried in this exhibition: when commenting on the title of a proposed abstract photography exhibition in the late 1950’s Minor White wrote to the curator ‘…I think that “towards abstraction” is a dead end for photographers to follow – whereas “towards revelation” is towards life itself.’ [letter from Minor White to Grace Mayer. 1959]. 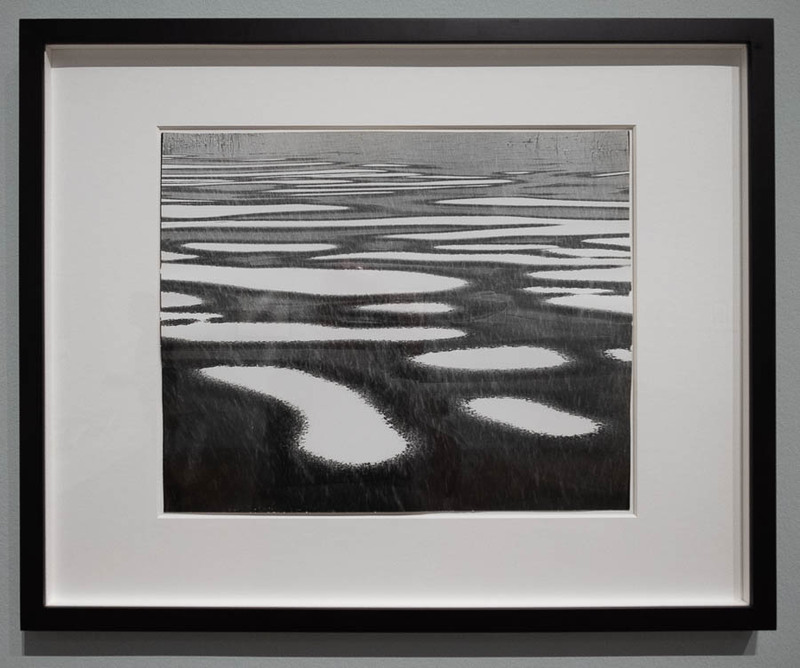 As Minor White implies, abstract images require engagement by the viewer as well as the photographer and without this willingness to engage imaginatively, emotionally and intellectually, this exhibition would be an overpriced expensive waste of your time. But if you want a good assembly of abstract photography set in an historical context, take a deep breath and shell out the £20. Iwao Yamawaki. Untitled (Textile Abstraction). c1930-3. Iwato Yamawaki’s image caught my eye not just for its own quality but for the similarity to ‘Tights‘ (c.2011) by Daido Moriyama. Given the dates it is easy to imagine that Moriyama could have been inspired by Yamawaki. Peter Keetman has an eclectic eye for the abstract image but this one particularly caught my eye. It is on the cusp between reality and unreality, and I think it is this that gives it so many possibilities for the imagination. Is it a landscape? Or perhaps a photomicrograph? Or something else entirely? Unusually for an abstract, it has a strong sense of perspective. E.I. CTY1. Original by Anthony Cairns. Shape of Light exhibition, Tate Modern. I’ve been wanting to see this work by Anthony Cairns since I read about it last year. The images have a hint of the quality of old tintypes about them: quite dark and melancholic, as if uncertain whether to be a negative or a positive. They are an abstraction of reality (but aren’t all photographs?) ‘though anchored in reality so not fully abstract, but definitely worthy of a place in this show. I like the way the multiple shadows caused by refraction through the acrylic mounts gives the images another dimension too. Wolfgang Tillmans’ current exhibition is on at Tate Modern in London U.K. until 11 June 2017. There are 14 themed rooms filled with work from the period 2003 to the present, so not a true retrospective and Tillmans isn’t presenting it as such. He’s saying ‘here’s what I’ve been fascinated by over the last 13 years and what’s inspired me to make my work.’ This period coincides with the widespread rise in digital technology both in photographic reproduction and in life in general. This has acted as inspiration and catalyst for a lot of the work in this exhibition. 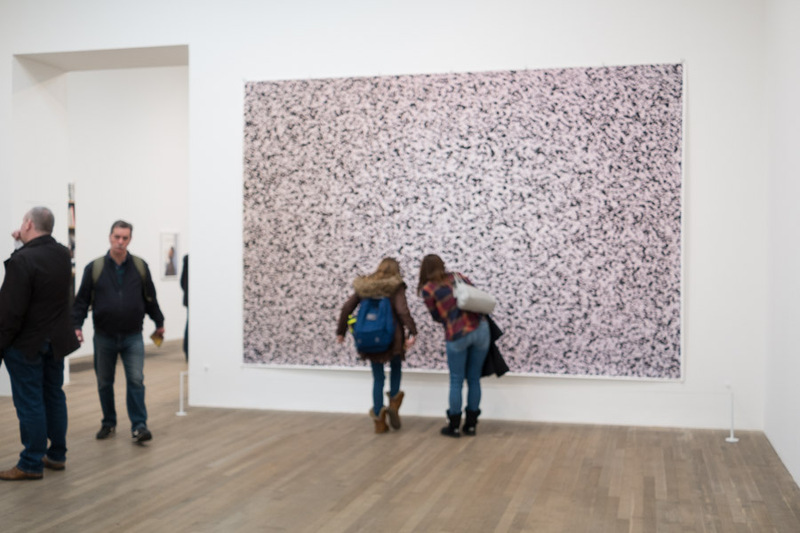 For example, there are two mural-size high resolution images of the ‘chaotic analogue static’ pattern displayed on a digital TV when it is not tuned. These invite close examination and ask when is a picture not a picture? In fact ‘where are the limits?’ is a frequent refrain in Tillmans’ work. Tillmans has had a long-held belief in the purity of the unframed image (his words)  and many of the images in the show are clipped to or taped to the walls. There are some framed images though, and it is interesting the effect this has, especially when the two types are mixed: the unframed images seem to be more about the subject and idea and feel like a raw work-in-progress whereas the framed prints have the air of stand-alone finished art objects. 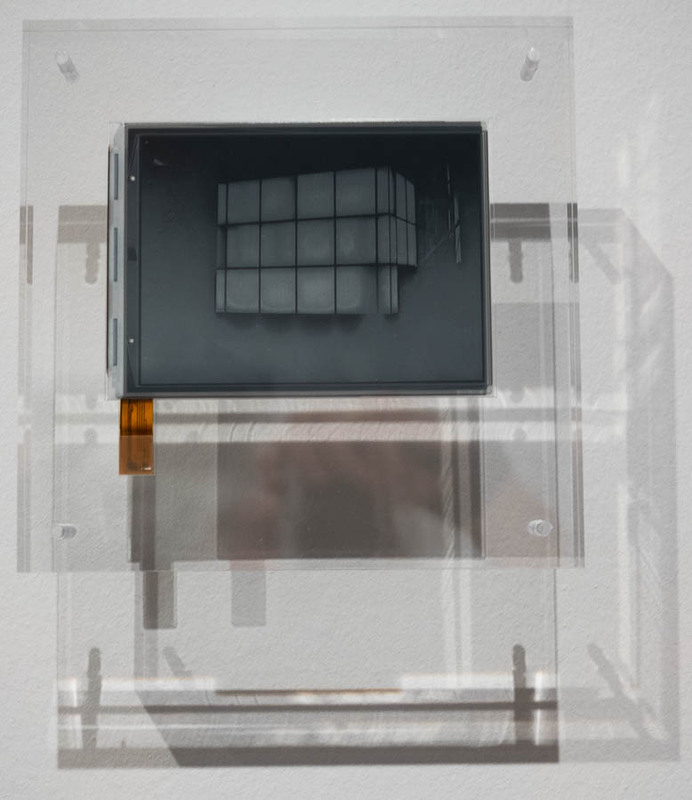 Initially this juxtaposing of framed and unframed is unfamiliar and disquieting but is part of Tillmans questioning of how meaning and charge can be incorporated into an industrially produced image, a question that flows through the whole exhibition and extends from the theorist Walter Benjamin’s concept of aura . So even in the early days of the Truth Study Center there was an intent to reveal specific alternatives to any official truths or myths, and he departed from a purely photographic medium to do so. The continuing need for such work is only emphasised by, for example, the current battle between the US presidency and the media over ‘facts’. There is certainly plenty of material for Tillmans and he uses it to strong effect in room 4 of his current show; it is the largest and most densely-packed of the rooms. The presentation is the same as at the Serpentine with cuttings, photos and printed matter in glass-topped tables laid out in a way that invites the viewer to browse. It would be easy to spend an hour in this room alone if you are happy to read text as well as pictures. It is informative, fascinating and worrying. Tillmans reveals, if we didn’t know already, that the only ‘universal truth’ is that there is no such thing! Abstract images have long had a fascination for Tillmans. He started experimenting with abstraction while at school  and sees it as a process of taking photography to its maximum potential  unfettered by the requirement to be representational, an assumption that viewers frequently make when looking at a photographically produced image. Many of Tillmans’ abstracts are not even made with a camera and yet such is the human desire for metaphor that most people will try to find a representation of this world in pure abstract photographs. It reminds me of this or that is a frequent reaction to abstraction, which shows that the viewer is engaging their imagination when faced with the image and not just passively accepting the image as-is. 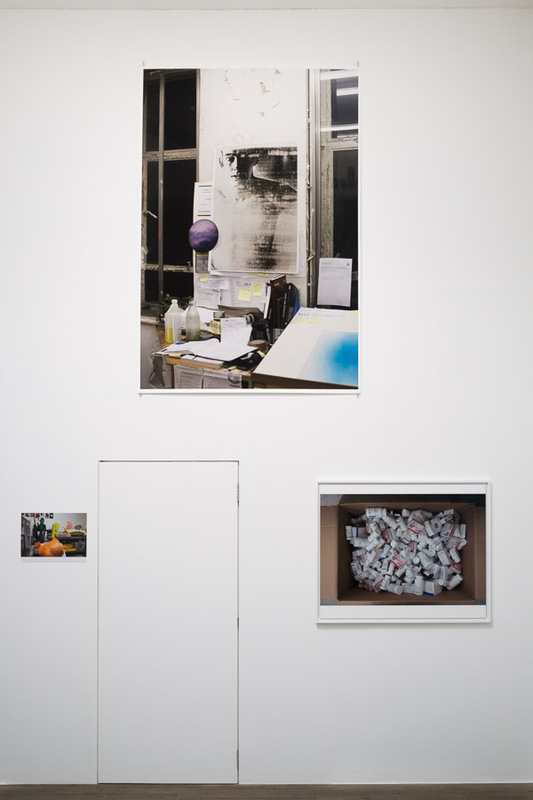 Only one room is devoted to abstract images, though they occur throughout the exhibition, suggesting that Tillmans has reduced his interest in this area of work. 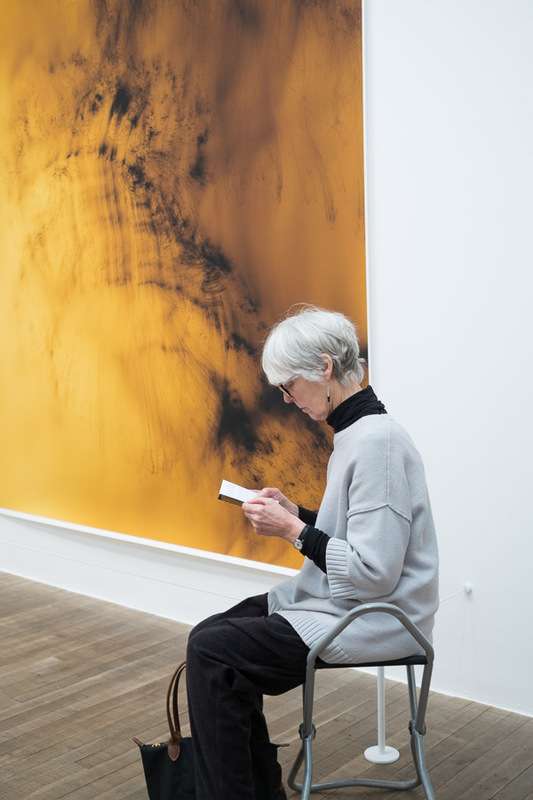 But then something has to give way to the variety of other work, and too much abstraction is exhausting for the viewer, so although I enjoy Tillmans’ abstracts, I think he has the balance about right in this show. With fourteen rooms and at least this many themes, there is so much complexity in the show that a lot more could be said. I’m going to finish up, though, with my last thought about Tillmans’ fascination with materiality and particularly paper. As an artist using photography it is not surprising that he’s interested in the material world: cameras are an exquisite tool for examining this. Less obvious to me is his claimed interest in the material qualities of paper ; paper is used extensively throughout the exhibition – it is the main base for all the works, but with a few exceptions it is not the materiality of paper that features here, at least not to my perception. As someone who is also fascinated by paper I would love to see a Tillmans show devoted to this topic. Maybe next time? 2017 is an engaging exhibition by an eclectic artist that is well worth visiting. There are lots of ways to read it at different levels; It is certainly worth going beyond the themes of the rooms and thinking about other unwritten strands that span the rooms. I’m looking forward to Wolfgang Tillmans’ next show already! Tillmans, W. 2010. From the Archive: In Conversation-Wolfgang Tillmans. https://photoworks.org.uk/conversation-wolfgang-tillmans/. Accessed 2017-02-16. Benjamin, W. 1936. The Work of Art in the Age of Mechanical Reproduction (translated). https://www.marxists.org/reference/subject/philosophy/works/ge/benjamin.htm. Accessed 2017-02-18. Anon. Taschen marketing material https://www.taschen.com/pages/en/catalogue/photography/all/01363/facts.wolfgang_tillmans_truth_study_center.htm. Accessed 2017-0219. Jobey, L. 2010. Wolfgang Tillmans: the Lightness of Being. in The Guardian. https://www.theguardian.com/artanddesign/2010/jun/26/wolfgang-tillmans-serpentine-photographs-exhibition. Accessed 2017-02-19. Anon. 2017. Wolfgang Tillmans 2017 Exhibition Notes. Tate Modern.